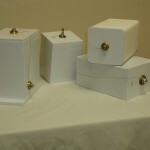 NWL’s P-Series capacitors have a unique insulating plastic case package. This package can be modified to provide insulated mounting structures with no need for metal brackets in assembly. The plastic insulating case also allows for the greatest density of energy per unit volume by eliminating the need for high voltage feed-through bushings. 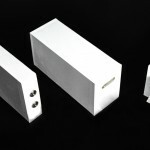 Terminals are low profile and low inductance, and accommodate a wide range of connection options including insert threaded, threaded post, and rails, while providing adequate mounting surface area. Terminals can be located at one end or opposing ends of the case to minimize circuit inductance or ease assembly. The internal dielectric systems are customized for the application to best meet demanding requirements for energy density, low loss, and capacitor life. The utilization of specific liquid impregnants with the different solid dielectrics further enhances the design of P-Series capacitors to specifically meet the critical requirements of the most demanding applications. 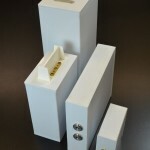 High Voltage Insulating Package – Plastic cases create a unique assembly option by eliminating the concern of isolating metal containers for high voltage applications. Low Inductance Terminals – With the plastic package, low profile high peak current terminals can easily be implemented to provide an economic approached for series and paralleling units to meet desired bank capacitance values. High Density at High Voltage– NWL’s high K oil systems, combined with plastic case and low profile features, allow for the highest density high voltage film capacitor option. 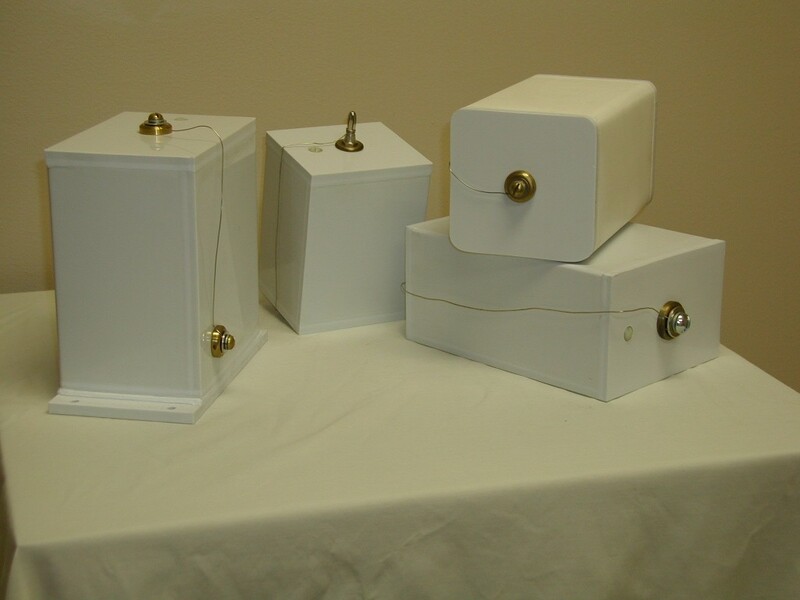 P-Series capacitors utilize a unique plastic case oil-filled product with the latest technological advancements in polypropylene film dielectric systems. * Measured inductance of plastic case capacitors depends on external circuit as well as internal configuration.